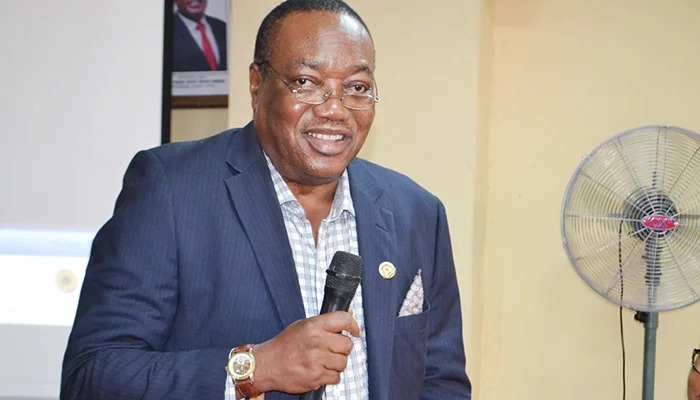 Former Vice Chancellor of the Michael Okpara University of Agriculture, Umudike and Director, Centre for Sustainable Development, Nnamdi Azikiwe University, Awka, Prof Ikenna Onyido has lamented that Nigeria universities are full of those he described as internet professors. Onyido, who was keynote speaker at the 55th meeting of the committee of Deans of Post Graduate Schools in Nigerian Universities, described internet professors as professors who simply log onto the internet to copy works of other scholars and present same as theirs. Speaking on the theme ‘the knowledge paradigm in the age of sustainable development: the relevance of the Nigerian post graduate school’, Onyido said such lecturers plagiarised their way to professorship, while adding that such practice was the bane of research and development in the country. He said, “A reasonable number of the thesis that pass through our schools contain plagiarised materials. These are the reasons we have ‘internet professors’ who plagiarise their way up, copying materials they know nothing about. “I borrowed Prof Jeffrey Sachs’ phrase in the above(precious reference), and the difference between my borrowing Sachs’ title and what my colleagues do these days to become professors overnight is that while I acknowledge my source, these dubious, crooked colleagues of ours do not. “In fact, a reasonable proportion of theses that pass through some of our post graduate schools contain massively plagiarised materials, just as some of our latter day professors in the Nigerian university system are internet professors. He said that a certain university in the South-East now produces professors described as ‘China professors’ who were tested and found not worthy to be lecturer 11. Earlier, the Vice Chancellor of Nnamdi Azikiwe University, Prof Joseph Ahaneku who was the chief host stated that research was one thing that stood university system out, but regretted that the number, quality and originality of research in the university system was now poor. He said TETFUND once observed that universities were not assessing funds meant for research. He urged universities to articulate their proposals and go for grants as organisations such as World Bank was making funds available but universities were are not accessing them. He urged universities to articulate their proposal and access funds for research instead of going on the internet and copying works that had not impacted on the society. “If we fail to address the critical role of research, we have failed,” he said. Proffering solutions, Onyido called for increased funding by government for universities. He urged senior scholars to cultivate the habit of mentoring younger ones. The conference attracted Deans of post graduate schools from universities across the country. The post Universities In Nigeria Are Full Of Internet Professors – EX University VC appeared first on Naijaloaded | Nigeria's Most Visited Music & Entertainment Website.